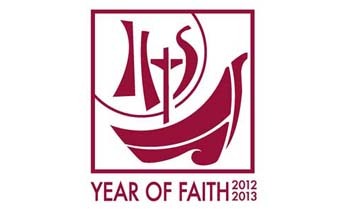 In the Catholic Church from October 2012 until December 2013 we celebrate the Year of Faith. I believe that in declaring the Year of Faith that Benedict XVI has found the perfect way to celebrate the fiftieth anniversary of the opening of the Second Vatican Council. For years I’ve been wondering how to celebrate an event that is so loved and so despised by various groups within the Church. In one corner you have those who believe that the council either should have gone farther in its sweeping reforms. In the other you have those who believe that the council was at best a failure, and at worst heretical (does the name Archbishop Lefebvrev ring any bells?). In between these two camps you have misinformation and millions of confused Catholics who aren’t sure what to believe. Enter the Year of Faith. The Holy Father has now given us not only what I believe is a great opportunity, but a direct challenge to seek the truth of the last ecumenical council. In this year we are encouraged to transform our faith by finding for ourselves what the council said. This is our opportunity to find out for ourselves. … but how are we to find this information? There is so much noise out there about what happened when the bishops of the world converged on Rome fifty years ago. A quick Google search of “Vatican II” gives one thousands of results. You can find anything from appeals for women clergy “in the spirit of Vatican II” to sedevacantists who claim that the council was hijacked by Freemasons or the KGB, or maybe both in cahoots Martians who all wanted to destroy the Church. This is what the Holy Father is calling us to: To celebrate the council by reading its documents, reading the bible, and reading what is the crowning achievement of 20th century theology, The Catechism of the Catholic Church. Imagine that. Exploring the truth of our faith by getting down to basics. Isn’t it a simple concept? Remember as we grow in faith we grow in grace. I’ve made some personal reading goals for this Year of Faith. 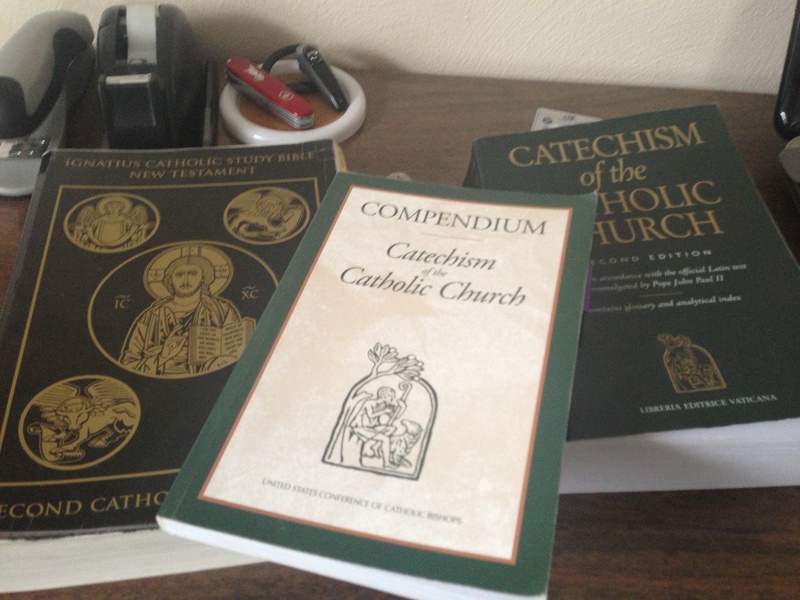 First I’d like to get through the Catechism of the Catholic Church along with it’s simpler companion document, the Compendium. Next I’d like to finish off the amazing Ignatius Catholic Study Bible. I’ve been working on the study bible off and on since Lent. If I keep to my reading schedule I’ll be finished with both by the end of February. Once I’ve refreshed myself with these cornerstones of the faith I want to move on to the council documents. Image Books recently released a volume titled Vatican II The Essential Texts. This volume contains six of the sixteen concillar and post-concillar documents. Is this an easy reading list? No. Will it be a lot of work? Yes. In learning about the faith will you find uncomfortable truths? Yes. Will you be a stronger person for it? Yes. Like the good doctor Bob Kelso said “Nothing in this world that’s worth having comes easy”.